You are here: Home / Accessories for the Horse / Western Tack Sets-Quick Answer For Horse Owners? If you are a new horse owner, or if you are a recent newbie to horse ownership you know that it is difficult at first to put your head around horse tack. So if you look for western tack sets, which are available, it will help you solve some of your problems of choice. Western tack sets can definitely help, because if you just walk into any tack shop, or perform a Google search online for horse tack, you’re bound to be overwhelmed by the immense amount of choices in the different categories available. A few things that you will need to know. What is “tack”anyways? headstalls, girth straps, lead ropes, halters…these are just a few of the names of different types of tack used to ride, show, and work your horse. After reading this article, you’ll not only be familiar with the types of tack available, but also the purpose each piece serves in riding your horse for the various uses that use their horses for. Tack is the broad term used to describe the saddle and other equipment or accessories needed to ride or work your horse safely and effectively. Each type of riding, and each task to be accomplished in riding, requires its own special type of tack. So let’s talk further about what you need to know in consideration for your choices, of horse tack or to the westerner (cowboy tack), studied further. A horse’s head gear is important, as it enables the rider to control the horses direction, head position, and stance via pressure points on the horses face and ears. You can think of headgear as a means of communication to the horse that both the horse and the rider can understand. Knowing that horses will generally move away from discomfort, headgear exploits this fact in order to gain control over the horse in a humane and realistic manner. The headstall or bridle, are the thin pieces of leather fitted together to allow the bit (the bar of metal that goes into the horses mouth) to rest comfortably. From each side of the bit, the leather travels up the sides of the horses face, and attaches to another piece that either rests over the horses forehead, or goes around one or both ears. The headstall connects in the back of the horses ears in an area called the poll. All pieces are adjustable with buckles to custom fit the headstall to the horse. The reins will also connect to each side of the bit, and are held in the rider’s hands for control. When looking at western tack sets, you may find a hackamore bridle is offered in the set. A hackamore bridle is a bridle that has no bit, and utilizes the sensitivity of the area just above the horse’s nostrils to control the horse. The hackamore is used when a horse has mouth or teeth issues and is unable to accept a bit in their mouth. This is generally the case with very old horses. This type of bridle is also used to start very young horses in training, before the bit is introduced. A halter is a piece of cowboy tack that consists of a noseband, and a headstall, but does not have a bit. These are usually made from nylon or leather, and are used in conjunction with a lead rope to lead the horse, tie a horse out, or load it in a trailer. Basically, anytime you need to take the horse somewhere while not riding it, you’ll use the lead rope and halter. The saddle is the most obvious piece of cowboy tack that is used, and that we are all familiar with. There are several parts to the individual saddle that will differ with Western or English riding. The saddle gives you a comfortable, secure place to sit while on your horse. The saddle you choose will also depend on the type of riding you intend to do. Whether you are barrel racing, trail riding, jumping, or competing in the ring, there is a saddle that will fit your needs…and your horse. For instance, when you’re showing western pleasure, you’ll need western show tack, and that includes a show saddle. 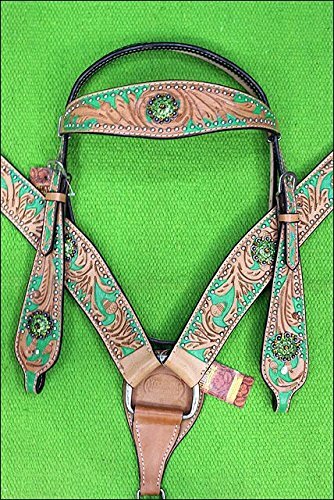 Western show tack is like the “Sunday best” of the tack world, and is usually heavily embellished with silver and extensive leather tooling. This tack is an investment, and it’s use is reserved solely for inside the show ring. Western show tack, probably generally is not offered in western tack sets, because, of how special western show tack is, to the person who shows his horse. He wants the best of the best for his show entry. A saddle accessory widely used for pleasure and trail riding is called a breastplate (or breast collar). This is a piece of western cowboy tack that attached to the front of the saddle, forms a “Y” on the horses breast, and attaches to the girth strap (the strap across the horses belly that holds the saddle on the horse). The breastplate is also an important part of a western tack set. A breastplate is very important because when you’re going up hills, it prevents the saddle from slipping backward or to the side and falling off the horse. Finally, attached to the saddle on either side are the stirrups. The stirrups aren’t just a comfortable place to rest your feet – they are actually also used to control the horse depending on pressure and position of the heels. 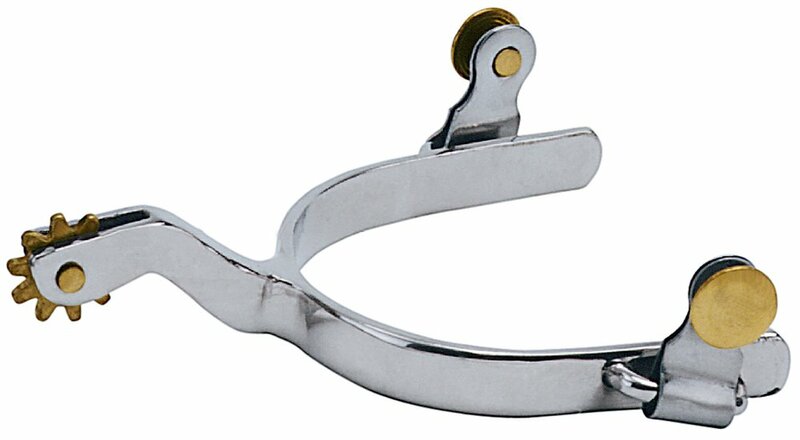 Another vital piece of a western tack set is a pair of stirrups. Cowboy tack always includes a pair of stirrups, which come in a wide variety from metal, to wood to leather-covered, and are a highly personal choice. 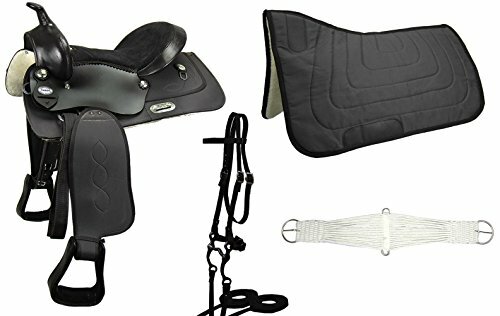 When shopping for great western tack sets, a great choice would be to look at site or businesses that may be offering, Weaver tack sets, as these are top of the line in quality. Weaver horse tack is definitely one of the top choices for a great manufacturer of horse tack. Weaver Leather Company was started in 1973, as Fryburg Shoe Shop founded by Harry A.Weaver. It was primarily a shoe repair shop in the beginning. In 1974, Harry changed it’s name to Weather Leather Goods, as it shifted to leather goods manufacturing. They ended shoe repair by 1978, and by 1982, they put out a 10 page catalog listing, horse halters, cattle and pet supplies and many other hardware pieces. Eventually Weaver leather goods became Weaver leather. They are a very large leading manufacturer, distributor of, and marketer of quality equine, livestock, pet, leather supply and arborist products. Weaver is today, a high quality line of horse tack. The broadness of their equine products, put together as a set, would most definitely present itself as a very worthy best choice. Weaver horse tack, would be an excellent place to go for you, in supplying your horse, in the best way possible. All of the above equipment also comes in convenient western tack sets, removing the guesswork, and making sure all your tack is coordinated. You will find as you shop for the best tack for your horse, that often, some of the better deals, are put together western tack sets. As you shop, let the experts, at the places you shop, help you out by looking seriously at what they are offering on the western tack sets. Very important though is to go shopping well prepared to provide information about the rider as well as the horse, so you can personalize the cowboy tack you purchase to your best abilities. Enjoy the trip, and you will be very happy you prepared well before your purchased the tack you did. Great riding enjoyment to you!